Tell the members of your community to come out and support our Troops on Saturday, July 14th for the USO BBQ for the Troops Event. The USO BBQ for the Troops Event is hosted by local Chicagoland car dealerships and its goal is to help raise money and support those who serve or have served our country and their families. Services including car washes, grilling, and more will be offered. All proceeds raised will go towards a great cause! Join your local Chicago dealerships on July 14th for great food and fun! Please visit DriveChicago.com for more information. 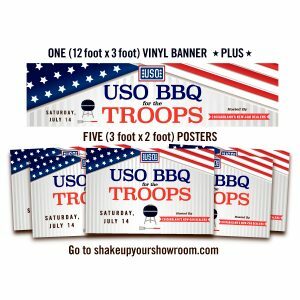 Shake Up Your Showroom is proud to provide banners and an event package in support of our troops and the occasion! 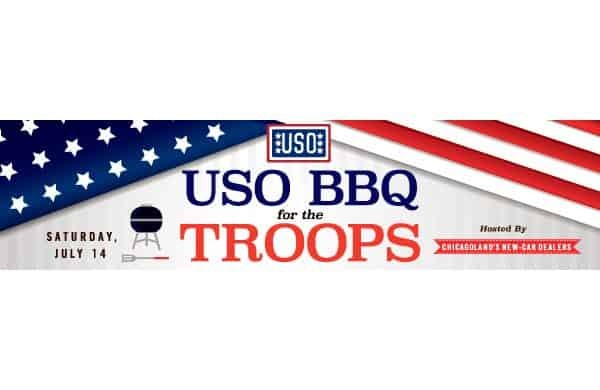 Order a USO BBQ for the Troops Banner Event Package online now. Only at www.shakeupyourshowroom.com.